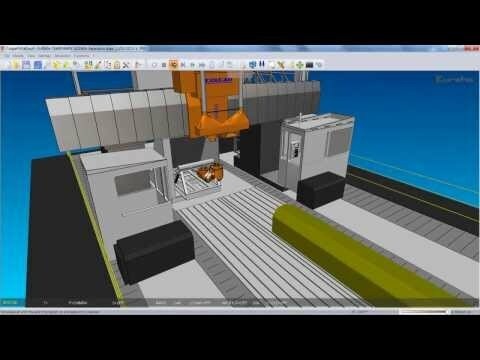 Eureka performs a complete 3D-simulation of machine tools through a simple and intuitive graphical interface, starting from the G-code. Eureka helps to avoid risks of damaging expensive work pieces, breaking tools and fixtures or even crashing a CNC machine because of programming errors. Thanks to the possibility of customizations at any level many important manufactures have chosen Eureka as their own verification software and as a solution for their customers. Eureka supports any kind of machine and any controller on the market like: Heidenhain, Fanuc, Siemens, Num, OSAI, Z32, Fidia, Selca. Other controllers can be easily integrated on demand. Remote server distributed simulation. 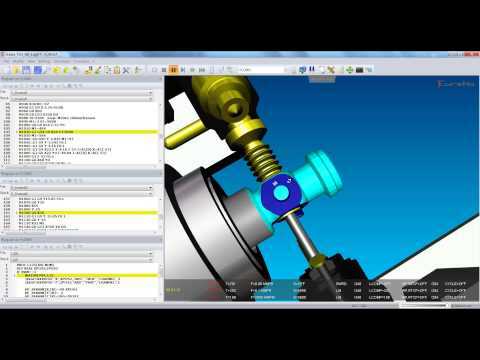 Just upload the simulation files in a shared folder and let EurekaCloud do the job. 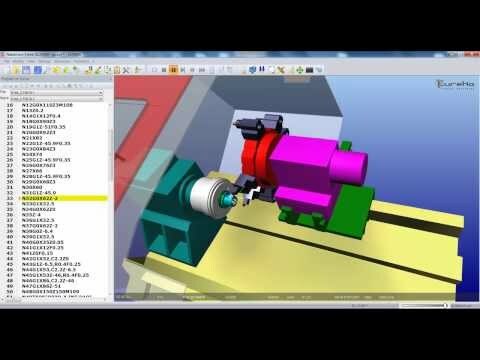 Simulation of multiple workpieces, multiple pallets and multiple origins machining, including tool changes and piece probing cycles. 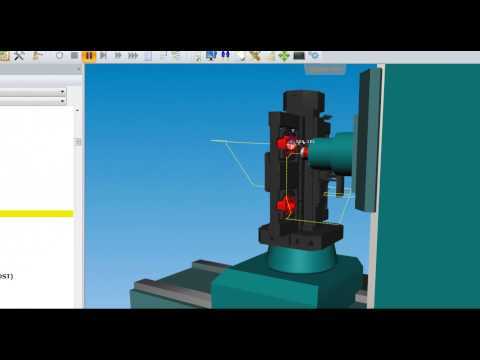 Simulation of multi-channel mill-turn machines running independent, synchronized or continuous 5 axes routines. Eureka is a useful tool for the training of new personnel and for teaching ISO programming when no actual machines are available. Analyzes and compares the digital model with the machined stock, highlighting areas below or over tolerance. Analyzes the machining result to remove mistakes, decreases the production time and allows to generate time summary reports.